This has been one of the most extraordinary, heartening days in my political lifetime, going back a lotta years. 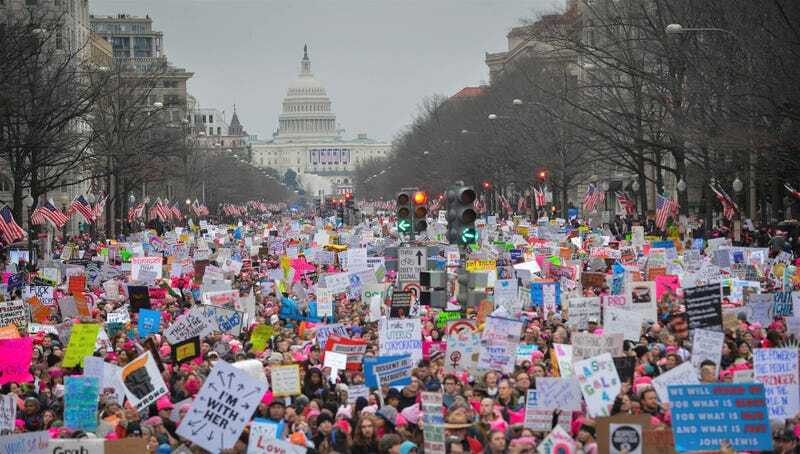 Everyone who marched, everyone who called, wrote, donated, obstructed, resisted, this is your day. The Freedom Caucus in the House was never going to be satisfied, they were never getting on board with anything other than a clean repeal, but they were not the only ones who sank this bill. There was also the moderates, the Tuesday Group and their friends, who watched in ever-increasing horror as giveaway after giveaway was made to the hard right. The republican legislators in blue or purple states; in New Jersey, in Virginia, in Georgia, who saw the crowds at their town halls swelling and swelling, who had 1000 to 4 ratios of “against” vs. “support” called in to their offices on this bum legislation. They put their fingers to the wind and understood which way it was blowing. So, a good day for America. Still only the bottom of the first, lots of game left to play. But a good day. 14 million people will not lose coverage next year. People in our rich country, a lot of people, will not die. Message heard. It’s their day. Our day. Everyone’s day.